Do we have values in common? Let’s talk. Join us and become part of our Force for Good. Alan has been elected president of the Board of the International Association of Healthcare Security & Safety. WORKPLACE VIOLENCE IS ON THE RISE. KEEP YOUR STAFF AND YOUR FACILITY SAFE WITH AGGRESSION MANAGEMENT TRAINING. Knowledge, technology, training and tools for the safest possible healthcare environments. It’s in our DNA. HSS AND PROJECT CURE. HELPING THOSE IN NEED AROUND THE WORLD BE SAFE IN THE KNOWLEDGE. 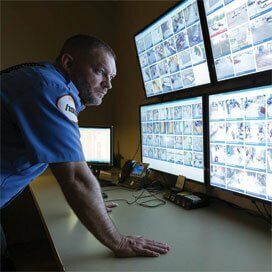 HSS specializes in healthcare security services and high-risk security environments. We apply specialized training, knowledge and experience to provide higher levels of safety and security, and to provide exceptional experiences through positive interactions with guests, patients, community and staff. What really separates us is the exceptional character, compassion and emotional intelligence of our team members. Our ingrained ability to assess and de-escalate situations, determine the best courses of action and move steadily towards the solution. We actively recruit team members with the right combination of skills and demeanor - and provide the training and skill development that results in a caliber of representative that’s unmatched in our industry. A claim that is not only trumpeted by our clients, it’s supported by our greater-than-90-percent customer retention since our company’s inception. HSS’ refurbished sterilizers meet the same OEM quality and performance standards as new equipment at a fraction of the cost. Our expert technicians have been refurbishing and providing dependable equipment for over 20 years. 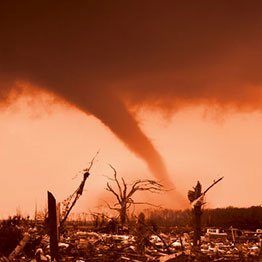 Effective Nov 2017, all CMS facilities must adhere to a new set of compliance rules concerning emergency preparedness. HSS can offer program assessment, gap analysis as well as compliance solutions to help you meet the new requirements. While thankfully, these are not everyday events the overall trend is on the rise (white paper).HSS has a wide range of Emergency Management, Aggression Management, and ED Violence Prevention programs to help your hospitals be as prepared as possible. 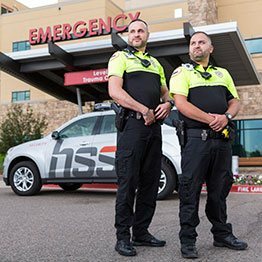 In partnership with Denver Health, HSS created an additional layer and caliber of Security Officer to address the unique cultural needs of a safety net healthcare facility. The program began in 2016 and has been well-received by the staff and the community. Security technology is being used in new and wonderful ways. 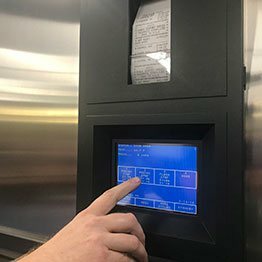 HSS designed an installation at an organic dairy farm that increases operational productivity, plus created innovative technology to keep track of elementary kids getting on and off the school bus. Whether it’s entering an emergency room, dealing with common airport hassles, or providing professional services for a wide variety of other facilities, we know our customer’s customer may need a bit more than security – they want to feel we know what it’s like to stand in their shoes. We are informed by the wisdom of experience and place a great value on smart decisions. We train and work in settings where expertise can make all the difference, and we pride ourselves on maintaining the most knowledgeable staff in the industry. As the first to establish outsourcing of shared services among hospitals, we’re hard-wired to create new, innovative and effective ways to improve the business needs, and lives, of our customers. From thought leadership to processes to technology, we are dedicated to stand on the leading edge of invention. Our team members are the face of our company. But, as important, we are ambassadors for our customers in the field. 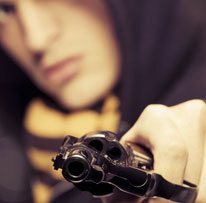 Our every move is designed to intelligently de-escalate and/or rectify the situation with safety foremost in mind, even when emotions are running high. Our actions are not always highly visible. In fact, often our solutions are meant to be discreet, operating out of sight so as to maintain a calm perception, driven by judgment and sensible conduct. Presence is more than just a warm body in a uniform. 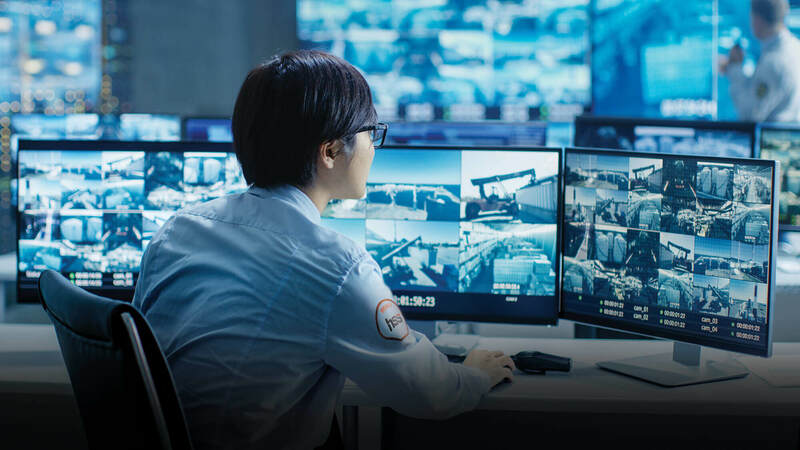 To us it’s creating an atmosphere of assurance and safety – instilling the trust that we can effectively handle any security situation that may arise.